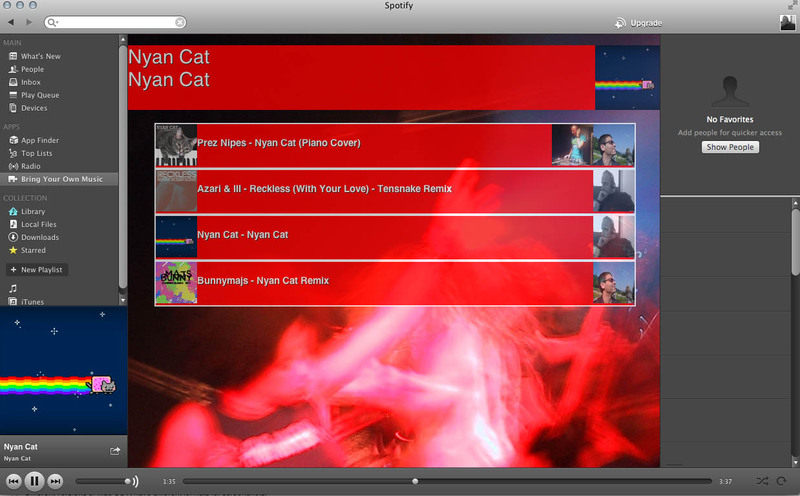 Spotify Jukebox using NFC and RFID « Think. Innovation. 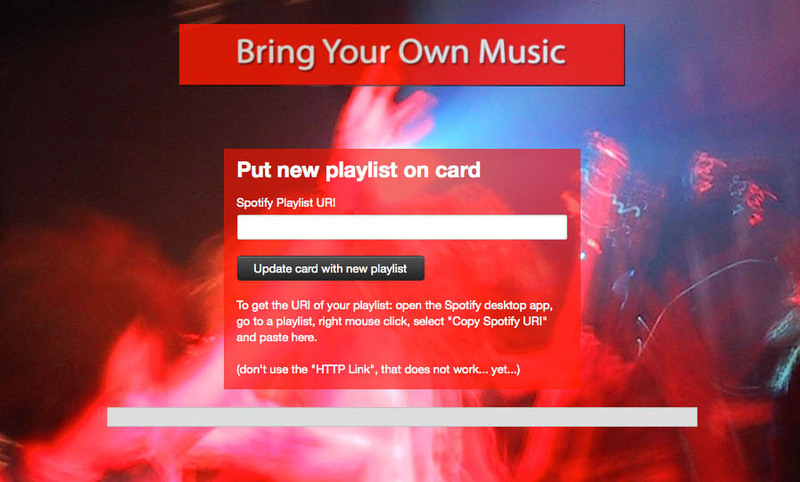 Using Bring Your Own Music, you can use random RFID chip cards, including the one-time-use Public Transport ones, and configure them to contain their favorite Spotify Playlists. Then arriving at a party, you put this card on the scanner for a few seconds (NFC Reader) and wham! Your songs are added to the party’s Spotify Playlist! The more a song is added, the more it is ‘voted up’ in the list. This is the innovative way of bringing your own music! Since you can program any card that has an RFID chip to contain your music, including the ones that you normally throw away like the one-time Public Transport cards in Amsterdam, you can also exchange your favorite Spotify Playlists with friends, for example.